Event description Enjoying the sunshine for 300 days a year, Antalya is a port city along the Mediterranean Coastline of Turkey. The average day time temperature is between 10 and 24 degrees Celsius from November to May. There are lots of cheap and direct flights from European cities to Antalya International Airport all around the year.We will held 4 days organization.The maps within 1-20 km. distances from event center. 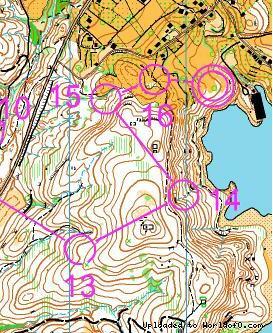 Terrain description STAGE1:This area offers a very technical course consisting of small and large hills. 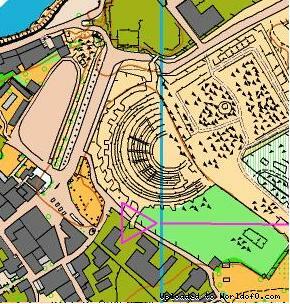 STAGE2:A unique chance for orienteering on the historic SIDE peninsula. Combination of urban orienteering and run through the historic sites. You are intersecting many asphalt roads.It will be held within the historic and touristic texture of the SIDE city. STAGE3:This area offers various route plannings along the course. Differences of height are noticable. There are existing cultivated areas with good penetribility. STAGE4:This area offers a terrain of easy to run. Differences of height are negligible. Training possibilities Training camps will be tailor made taking into consideration requirments of National Team's/Club's. During the training camps held, SI systems could be available on demand.There will be training camp at 16-23 February,2011.Please check our website. Holiday activities,nature,hiking etc. We offer you a lot of different activities after or before competition.Hiking to the Tauros Mountain, Floating high above the ground, equipped with climbing ropes, harnesses and helmets one has to accomplish challenge after challenge on our course.